The LIFT Program is the name of the County of Erie’s safe, reliable, customer-friendly, shared-ride, advanced-request transportation system. The LIFT’s goal is to provide all of your transportation needs. The LIFT is for residents of Erie County who are unable to utilize bus service. The LIFT has several different programs to subsidize the cost of transportation. See our ‘Programs’ tap for more information. If you are 65 and over and cannot independently utilize fixed route service and/or live further than 1/4 away from a bus route, you qualify to ride the LIFT. Under this program you ride for free to doctors appointments and the nearest GECAC senior center. Other trips will range in price from $1.65-$6.15 based upon distanced traveled. The is door-to-door, advance reservation service. To better serve people with disabilities who either live in the rural area or need transportation to the rural area, the “e“/LIFT is providing discounted shared ride services for eligible residents of Erie County. The program is the Rural Transportation Program for Persons with Disabilities (PwD). You are eligible for this program if you are a resident of Erie county, under 65 years of age, and have a disability that is defined by Americans with Disabilities Act (ADA). Trips will range from $3.30-$6.15 based up distance traveled. If you or anyone in your family is a medical assistance recipient, you may be able to get help with transportation you need to get to and from medical providers. The Medical Assistance Transportation Program (MATP) provides rides to medical care at no cost to you. You can also get mileage reimbursement if you use your own car or find someone willing to give you a ride. This funding will only reimburse for trips covered by Medical Assistance. For more information call (814) 455-3330. EMTA provides door-to-door paratransit service for people who are unable to independently ride the fixed route buses due to their disability. 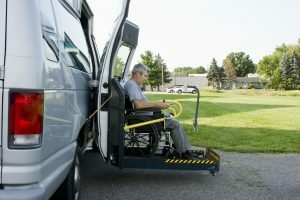 For many customers’ persons with disabilities, in many circumstances, getting to a bus stop is possible. 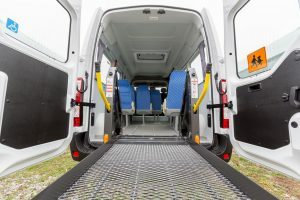 If an impairment-related condition only makes the job of accessing transit more difficult than it might otherwise be, but does not prevent the travel, then the person is not eligible. ADA customers ride during any hours/days that an EMTA fixed route operates as long as the origin to destination is within ¾ of the specific route. The one-way fare for ADA is double the EMTA standard fare. In order to qualify for ADA using the EMTA paratransit vehicles, all customers must complete the application process. Visitors to the area who are unable to use the accessible fixed route service because of their disabilities, are eligible to use the e-Lift service for 21 days in a rolling 365 day period. To apply for visitor’s status please have your current paratransit provider mail, fax, or email verification to our office. If you don’t have paratransit in your home area, you will need to have your healthcare provider provide a certification of your disability. Customers must register and be certified to ride under ADA via Paratransit. Trips for this funding are $3.30 per one-way trip. In order to be covered under any type of funding, rides must be scheduled at least one day prior. The Scheduling Office is open 7 days a week between 8:00 a.m. and 4:30 p.m. On Saturday and Sunday the scheduling line is only accepting reservations for the following day. The shared ride scheduling line is 814-456-2299. You may require assistance of a personal care attendant to meet your mobility needs. Your attendant will ride for free of charge only if you are certified in advance to travel with an attendant. We understand that sometimes circumstances occur which prevent you from using your trip. Please call and cancel your trip at least one hour before your scheduled pickup. If you fail to call and cancel your trip and do not take your trip as scheduled, it may be necessary for EMTA LIFT to assign you a no show. Service animals are welcome on our vehicles. If you use LIFT for shopping trips, you are permitted to bring aboard as many bags as you can carry on your own in one trip and does not require the use of additional seating space on the vehicle. Drivers may not enter your residence to provide assistance for security reasons. The Travel Training Program is a FREE service for those who want to learn how to travel independently using the fixed-route (the e) or paratransit service (LIFT). We offer group and individual training’s. For the fixed route service (the e), learn how to read route maps and schedules, different bus fare options, how to transfer, and about EMTA’s transit tracking options. 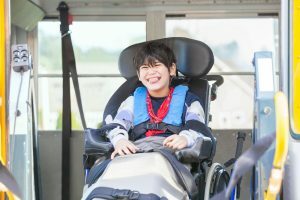 For the paratransit service (LIFT), learn about the different policies, procedures, and how to make your advance pick-up reservation. Get on board with EMTA and schedule your Travel Training today! Call 814-459-8922 for more information. If you do not have paratransit in your home area, you will need to have your healthcare provider provide a certification of your disability. We will also require you to provide items 1, 2, 5, 6, 7 above. Once we receive the information we will enter you into our system and mail an authorization letter and instructions on how to use our service to you. Alternately, we can email a PDF copy to your home or work email address if supplied. In order to process this information, please alert EMTA within a reasonable amount of time prior to your visit.